General Electric Company (NYSE:GE) will hold the company’s third Industrial Internet event today (Thursday) in New York; this event is held on an annual basis. At today’s event General Electric will make announcements regarding its new partnerships, softwares and services that will help the company expand further into its Internet of Things venture. 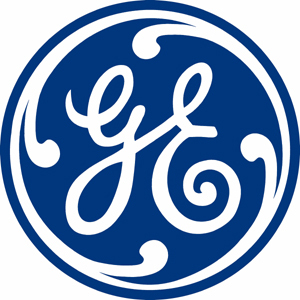 General Electric Company (NYSE:GE) has been relatively successful in the last three years in terms of its services and software offerings; these offerings jumped up to 24 from just 10 in this period of time. In 2014 this figure went up to 40. General Electric hopes to extend its capability in large data analysis and connection machines beyond turbines, locomotives, jet engines and Industrial equipment. General Electric Company (NYSE:GE) announced its partnership with Softbank; the ambition behind this alliance is turning vending machines into assets. General Electric’s Vice President Bill Ruh believes that in many countries people use vending machines without any knowledge of the purchasing process or machine’s status. He feels that people need to have in depth analytics regarding how these machines operate. Ruh believes that just the way General Electric Company (NYSE:GE) can sense its jet engines’ state, which allows the company to schedule proper maintenance tasks, the company could extend this same knowledge to office equipment – a potential market in Ruh’s eyes. He said that General Electric Company (NYSE:GE) is also looking to take on other infrastructure projects such as bridges and roads. General Electric Company (NYSE:GE) announced another alliance with Cisco, which will enable the company to work on large-scale ventures. Cisco partnership will allow GE to use the company’s routers. It also has partnerships with Intel for its servers and chips and Verizon for its networks that will be used to connect to GE sensors. With new goals and agendas, General Electric Company (NYSE:GE) hopes to reproduce applications for Industrial Internet and other services that the company has already mastered and initiated. One such measure has been taken in the industry for Oil and Gas. General Electric Company (NYSE:GE) produces valves and pumps for the sector, but now it offers smart sensors and other cloud services that allows users to manage and govern gas and oil wells that are thousands of miles away. Ruh believes that it is important to be open in the tech world; he says that General Electric Company (NYSE:GE) has partnered up with many tech leaders to form an Industrial Internet conglomerate to encourage integration and testing of technologies. To further strengthen the field of industrial applications General Electric Company (NYSE:GE) acquired Wurldtech, which provides firewall and security technology. This was followed by the company 2013’s investment of $105 million in Pivotal, which is a vendor for large-data analysis and cloud computing. These acquisition and investments will help the company’s cause in the future. General Electric Company (NYSE:GE)’s portfolio for Industrial Internet, known as “Predictivity Solutions” is expected to generate revenues of $1 billion by the end of this year and continue to do so on an annual basis.